The dental attorneys at Nardone Limited in Columbus, Ohio frequently negotiate lease terms on behalf of dental clients. In Part 1 and Part 2 of this series of articles, we discuss some key provisions that all dentists should negotiate into a lease agreement to better protect their investment in their dental practice. In particular, we focus our discussion in those articles on provisions addressing exclusivity, the lease term, use restrictions, parking, and signage. In addition to the provisions mentioned above, a dentist who is negotiating a lease agreement should pay special attention to—and fully understand—the tenant’s and the landlord’s maintenance and repair obligations with respect to the premises. It is common in a dental practice purchase that the selling doctor owns the real estate where the practice is located, and, instead of selling the property, desires to lease the property to the buying doctor. This is often the case where a retiring doctor wants to maintain a source of income after selling his most valuable asset (i.e., his dental practice). In that scenario, the selling doctor often wants to enter into a true triple net lease with the buying doctor, meaning the buying doctor, as the tenant, is responsible for insurance costs, real estate taxes, and all maintenance and repair expenses associated with the premises. In other words, the landlord wants to be hands-off and have no maintenance or repair obligations, whatsoever, with respect to the property. But, a true triple net lease could turn into a nightmare for a tenant. For instance, imagine you are in the final year of the initial ten-year lease term, and you do not intend to exercise your renewal option. Instead, you have decided it is time to expand your practice by building-out a new office at a nearby location. You are in the middle of a patient procedure, when suddenly your water supply cuts out. You learn that a water line under the building has burst. Unfortunately, the damage is not covered under the property insurance policy maintained on the building, and you are stuck with a costly repair in the final year of your lease. While this may be an extreme case, it underscores the liability risk that a tenant has when entering into a true triple net lease. The parking lot, including resurfacing or repaving as reasonably necessary. Nardone Limited Comment: Note that maintaining and repairing the HVAC system is often an expense that the landlord will push onto the tenant. One way to compromise on this issue is to set annual monetary limits regarding the tenant’s maintenance and repair obligations (e.g.., no more than $1,000.00 per lease year). In many instances, the landlord will acknowledge that this is a reasonable request by the tenant and is willing to compromise on some or all of these maintenance and repair expenses. In the context of a dental practice sale, if the landlord is unwilling to budge, the buying dentist must weigh his potential liability for big capital expenses against the desirability of the practice and practice location. Furthermore, in some instances, the rental amount may already take into account the tenant’s potential exposure to these expenses, and therefore it makes sense to proceed with the lease agreement. Nardone Limited Comment: In most instances, we advise our dental clients to obtain an opinion from a commercial real estate broker of the fair market rental value of the property. The broker will be able to tell you whether the rental amount is below fair market value, in which case you may be more willing to take on certain maintenance and repair obligations. The dental attorneys at Nardone Limited have vast experience negotiating lease agreements on behalf of their dental clients. 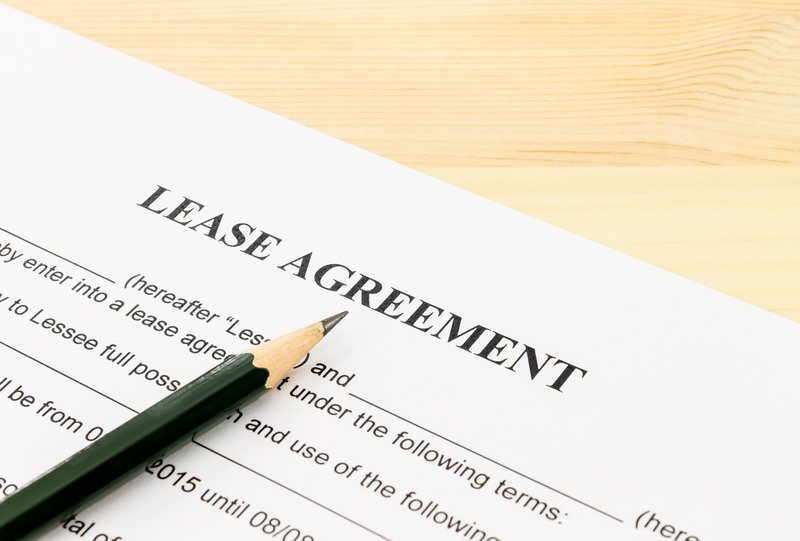 If you need guidance regarding a lease agreement for your dental practice office, contact Nardone Limited.